Marc Pascal has been designing lighting products for 20 years, He is very passionate about detail, the aesthetics and function of his products. Each and every light his team makes is a "one-off" made to order piece. The element that makes his lights so unique (apart from their originality) is the modular colouring system which means each client can choose the colours they like and want to have in their spaces. At Amonson Lighting, we’ve taken the hassle out of the minute details to help you buy lights online that not only beautiful but at a competitive price. Clay beaded designer lights; chandeliers, pendants and lamps lovingly hand crafted by the women of South Africa. Unlike so many products that come off the factory line, ours have a human story. They’re lovingly created by a community of women in Kwazulu-Natal, South Africa*. Drawing on African heritage and craftsmanship, each clay bead is hand rolled using raw clay. They are then sun dried, kiln fired and dip-dyed and in the case of our lights, masterfully strung onto its unique iron frame. This hand made process ensures that no two pieces will ever be the same. Initially, our clay beaded pieces were crafted by local women whose lives had been impacted by HIV and so desperately needed an income to support their families. Over time, as popularity grew, more and more women with differing circumstances approached us for work. As a result the criteria has been broadened to any local woman who is prepared to put in the effort to create something special. In 2012, 8 ladies were permanently employed. There are now over 65 dedicated women rolling beads and creating their own masterpiece. More importantly, they’re making a difference to their local community. Today our chandeliers can be found lighting up some of the most gorgeous homes, hotels, restaurants and reception centres around the world. klaylife is run by a South African family now based in Melbourne, Australia. Hermon Hermon Lighting directly imports and supplies designer feature lighting to interior designers, architects and the general public throughout Australia. The range is suitable for commercial, hospitality, institutional and residential applications for both indoor and outdoor use. Most notable is Hive lighting which is run by the creative direction of Kenneth Cobonpue and has found its niche by garnering most form or material inspiration from nature and fusing it with a deep respect for handmade production techniques. Incorporating efficient and environmentally friendly technology such as LED it provides timeless and beautiful illumination solutions. Since founding his practice a decade ago, German-born Volker Haug has developed an international reputation in lighting design. Along with his design team, Haug has established a distinct aesthetic that combines industrial and minimalist elements, paired with a strong sense of colour and materiality. With his highly skilled team, Haug creates each product from his workshop and showroom in Melbourne. Designing for commercial or residential projects, each piece is assembled by hand, ensuring the utmost care and quality. Working with high-end materials including brass, stone, copper, porcelain and glass together with recycled and reclaimed objects, the studio creates unique designs that are at once playful and functional, sculptural and surprising. LIGHTING PIECES CAN FADE INTO THE BACKGROUND OR THEY CAN ACT AS THE DEFINING ELEMENTS OF A PARTICULAR SPACE — THE CHOICE IS YOURS. AT ESPO, WE HELP YOU FOCUS ON WHAT YOU WANT, IN ORDER TO DISCOVER WHAT YOU NEED. Espo provide lighting solutions to the designers who are responsible for the ideas; to the architects, the builders, and the engineers who make the ideas reality; and to the public who inhabit those realities. We are ambitious and honest when it comes to servicing our clients, and our collection of brands provides for a wide variety of project scale and scope. At our core Espo will always be about enduring quality and emotionally engaging brands: Inarchi, Manooi, and exclusive to our Australian-based clients, Italian icons, Modo. Espo deal in the new, in the established. The well-known gems and the oddities. The brands Espo showcase are European cultural influencers and design leaders. They are taste-makers. With our ornamental and architectural custom-lighting brands, Espo provide our clients with their own piece of Europe. Lighting seems ever-present — just like cars and phones — and by its sheer frequency of use, lighting exerts a powerful influence over our daily lives, making your lighting choices one of the more significant decisions you’ll make. Espo can help you create inspiring, stimulating, and liveable spaces. For over 60 years, Masson For Light have manufactured quality lighting in Melbourne, Australia. Specializing in architectural lighting for commercial, retail, hospitality, residential and public spaces. Our focus is on innovative product design and lighting solutions tailored to suit each project. With a factory in Melbourne it is possible to customize products for those clients wanting something a bit different for their individual projects. Today, a fantastic team of staff including; Lighting Designers, Sales Staff, Engineers and Craftsmen, work closely on projects with award winning Architects and Interior Designers. Richmond lighting is an independent, Melbourne based supplier of quality products, including both local and overseas designs. Our focus is on providing excellent design and technical advice with personal service as we believe this is the best way to make optimal lighting selections. 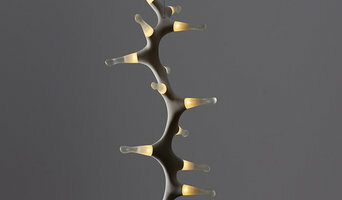 Ross Gardam is an Australian furniture and lighting company established in 2007. Each product is hand crafted in Melbourne, Australia, by local artisans and makers. Pairing traditional craft techniques with high end manufacturing technology results in products which are elegant, accessible and made for today. All products are designed by Ross Gardam and embody a unique contemporary aesthetic. Ross Gardam has worked extensively in environmental, interior and product design. He has worked for a number of large commercial firms in Australia and abroad to develop beautifully simple design solutions to complex problems. 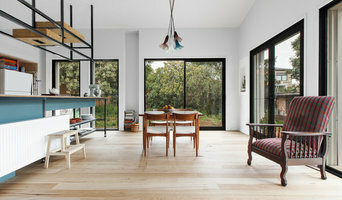 Gardam has designed, developed and exhibited a number of acclaimed furniture and lighting products. Much of his early work involved efficiency in material use and exploration of sustainable design principles. He works alongside local manufacturers and artisans to bring his products to fruition. Gardam is currently working with Stylecraft, one of Australia’s leading product distributors. Silicon Lighting store provides a high quality and extensive range of LED lighting and equipment in Australia. With a large selection of lighting fixtures at Silicon Lighting, we aim to provide all types of lighting, including ceiling lights, crystal chandeliers, pendant lights, wall lights, floor lamps, table lamps, mirrors, logos and custom lighting solutions to fit any kind of budget and style. All our products are of high quality and economic to use, when it comes to our customers we make sure that we provide the best and nothing less. Our lights come in a variety of size, shape, pattern and designs which give you the flexibility to choose according to your requirement. **Free LED Down lights - Start saving with LEDs (Commercial Buildings) - Switch to LEDs for FREE under the State Government Energy Efficiency Program (VIC ONLY). We have new stock coming in now! Sales is now on, shop online with home delivery or store pick-up. Call us at 03 8528 1831 or visit our website for more information. Fat Shack Vintage is an online lighting store that prides itself on being purveyors of the best, fine, fat, vintage industrial style from all reaches of the globe. No pomp and snobbery here, just good old bare vintage flair! Customer service and feedback is extremely important to us. We love our products and our customers, so we want you to love the newest addition to your home as much as we do. As such, if for any reason you are not happy with your purchase then please contact us and give us the opportunity to fix the problem. Also, feel free to ask us any questions here on Houzz. We'll do our best to help you out! By Living is an Australian based online retailer who improves customers’ lifestyle, explores fun and tasteful/intriguing designs and provides exquisite simplicity to life! All products have been individually selected or designed by the By Living team with two things in mind; innovative design and high quality. We offer minimalist, urban and industrial lighting and homewares with a contemporary edge. All designs exclusive to By Living are branded with the unique Italian handmade leather label. Our designs can be easily incorporated to your living space, bar or café and provide you and your customers with a cosy and stylish environment. 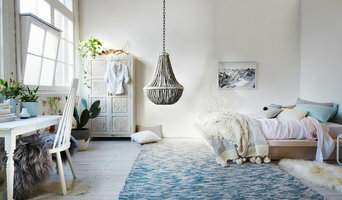 Our unique range of pendant lighting, distinct and practical homewares offer you a designer feel at a competitive price and will bring warmth to your home or business. WHERE AESTHETICS MEETS PERFORMANCE Artefact Industries was born out of a passion to provide creative product solutions of timeless aesthetic and beautiful performance. Established in Melbourne during 2014 by Michael Dernaj & Kate Steele, Artefact Industries takes pride in fostering the spirit of innovation and creativity through our collaborations with an inspiring network of Melbourne innovators. This network enables us to always deliver superior quality and form in our product solutions. Articolo is a design studio celebrating the art of light through a commitment to artisanal craft and quality production. Established in 2012 in Melbourne, Australia, Articolo’s lighting collections explore the unique individuality and subtle differences intrinsic to mouth blown glass coupled with a timeless design aesthetic that is reflective of creative director Nicci Green's passion for the textural spirit of light. Articolo interprets its European design led influences through an Australian sensibility while honestly and playfully uniting craftsmanship and materiality. Lighting designers will analyse your Gowanbrae, Victoria home's layout, structure and needs to create an effective lighting plan throughout your home. This may involve the addition of new light fittings but may also include the movement or addition of power points — recommendations to suit your space and your lifestyle. Though electrical engineers or interior designers in Gowanbrae can take on the task of outfitting your home with the appropriate lighting, a professional lighting designer explores lighting as a technique. They can match your style, be it antique lamps to match your eclectic vintage home, or modern wall floor lamps to go with your designer furniture. Think about how you plan to use each area of your Gowanbrae, Victoria home. It's important to communicate to your Victoria lighting designer which space will be used as for reading and which for enjoying a movie or entertaining, as these will require very different lighting methods. In addition, consider how you'd prefer to control the lights. Lighting technology today includes dimmers, sensors, photocells (that let lights react to the amount of daylight in a space), programmable scene controls (that let you program different settings for varied lighting) and whole-house lighting controls (that let you control all or a portion of your home's lights from one source), allowing you to tailor your lighting controls however you wish. Find a lighting designer on Houzz. 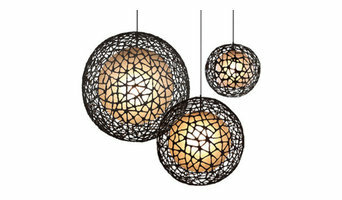 Narrow your search in the Professionals section of the website to Gowanbrae, Victoria lighting designer. You can also look through Gowanbrae, Victoria photos by style to find a lighting design you like, then contact the designer.